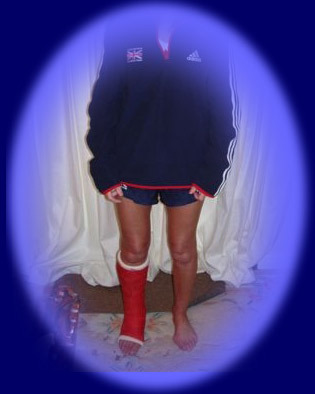 Heather and her Fracture. Ongoing problems. After suffering with a stress fracture in her right ankle for 9 months, Heather has encountered further complications. MRI scans on both ankles have shown three stress fractures in the right and one in her left foot. 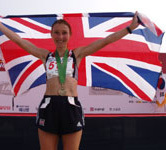 Heather visited Middlesex Hospital in London under the guidance of the British Olympic Medical centre, for bone density scans to identify why she is suffering from stress fractures with not running for 9 months. The results showed Heather to have Osteopenia in her body which refers to bone mineral density (BMD) which is lower than the normal peak. Heather is due to see a bone specialist to see what treatment is possible to hopefully get running again. Meanwhile, Heather is trying to stay fit by swimming 1 mile each day and longs to walk pain free. Heather has recently been features in East Devon Life by Clare Brown. 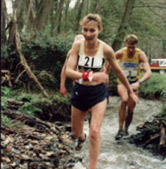 "I often wonder what lies behind a face, a persona, what a person does for a living........"
Over 40 British Record Holder for 50k, and the World's 9th seed for 100k Heather Foundling Hawker travelled to Edinburgh to represent England at the British 100 k Championships on the 20th May 2007.